Track Bright Dog Red’s appearances on Facebook and Songkick. BDR returns to the City of Brotherly Love on March 30, 2019 at Heritage, restaurateur Jason Evenchik’s Northern Liberties destination venue. BDR’s appearance, their first of 2019, is in support of the group’s latest album, “Means to the Ends,” released on the East Philadelphia based Ropeadope Records. The evening will feature multiple sets comprised of “Spirited and inspired jazz that skillfully weaves in additional elements of electronica and hip-hop” (Blue in Green Radio, UK). Bright Dog Red returns home to Albany’s Jupiter Hall for a double bill with Ropeadope label mate Adam Ahuja. R-train (Union Street Station), Atlantic/Pacific Barclay Center Stop).Parking is available on the same street. Nearest parking garage is on 2nd Street (cross street: 4th Ave); Street parking available. Bright Dog Red returns to nublu classic in the wake of the release of “Means to the Ends” (Ropeadope Records). The band will be featured in the venue’s “classic” space, located at 62 Avenue C on New York’s Lower East Side. Nublu Classic hosts two performance spaces and a studio that feature an international array of jazz, world, electronic, and improvised music. Contact nublu.net for ticket information ($10). Bright Dog Red returns to Spectrum. BDR has a long history at Brooklyn’s Spectrum, a leading destination for creative, improvised, new music. BDR considers the space a second home, having played Spectrum more than any other venue. Come out and see what Bright Dog Red’s “innovative and psychedelic mesh of jazz, hip-hop and electronica” (The Alt Weekly) is all about. Spectrum is a technology-intensive music/performance venue and art gallery. Its mission is (1) to support innovation and virtuosity in the arts and (2) to foster conversation around ideas, culture and current social / political issues. Spectrum is located at 70 Flushing Avenue, Garage A, in Brooklyn, NY, across from the Brooklyn Navy Yards. Bright Dog Red appears at the Second Annual O+ Poughkeepsie Festival. BDR returns to ShapeShifter Lab, the celebrated Brooklyn venue for creative improvised music. Bright Dog Red returns to nublu. The venue, located on New York’s Lower East Side, hosts two spaces, a studio, and presents an international array of jazz, world, electronic, and improvised music. Bright Dog Red make’s its nublu debut. The venue, located on New York’s Lower East Side, hosts two spaces, a studio, and presents an international array of jazz, world, electronic, and improvised music. BDR returns ShapeShifter Lab, the celebrated Brooklyn venue for creative improvised music. BDR’s set will feature guest soloist Morgan Guerin, saxophones. Admission for this event is $10.00. A historic theater turned community arts center unspooling great flicks, lively music, community events, and the best organic popcorn this side of the Hudson. An Evening of hip hop inflected jazz and improvisation. The Bronx Beer Hall features a full lineup of New York State craft beer, as well as an original menu sourced from their neighbors on Arthur Avenue, The Bronx’s Little Italy. 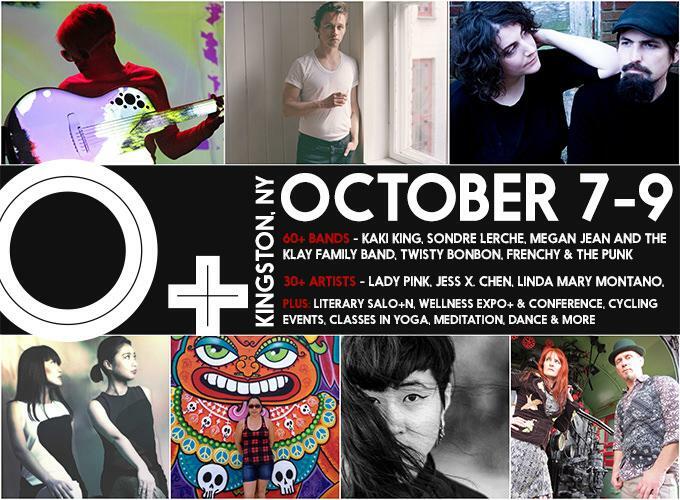 The 0+ Festival, a non profit organization, takes places in multiple locations, Chicago, IL; Bronx, NY; Kingston, NY; Petaluma, CA; and Haverhill, MA and connects artists, musicians and volunteers to health and wellness services. Admission for this event is $15.00. Bright Dog Red returns to Spectrum NYC for rare matinee performance. Spectrum is located on the second floor of 121 Ludlow, half a block north of Delancey, and a two-minute walk from the Delancey/Essex stop for F, J, M and Z trains. Located on the second floor of 121 Ludlow, half a block north of Delancey, and a two-minute walk from the Delancey/Essex stop for F, J, M and Z trains. Located on the second floor of 121 Ludlow, half a block north of Delancey, and a two-minute walk from the Delancey/Essex stop for F, J, M and Z trains. 9:00 PM. $15 admission. The 0+ Festival, a non profit organization, takes places in five locations, Chicago, IL; Bronx, NY; Kingston, NY; Petaluma, CA; and Haverhill, MA and connects artists, musicians and volunteers to health and wellness services. This is a double bill with Marco Capelli’s Italian Surf Academy. BDR will appear the same night at Lilypad at Inman in Cambridge. The latter performance is open to the public. The venue, “a vital part of the city’s jazz ecosystem,” according to the New York Times, is a veritable crucible for some of today’s most forward thinking musicians. Located on the second floor of 121 Ludlow, half a block north of Delancey, and a two-minute walk from the Delancey/Essex stop for F, J, M and Z trains. 7:00 PM. $15 admission.